Significant numbers of people in Hawaii rent boats each year for family vacations, fishing, skiing, and other recreational, water activities. Often potential boat buyers may rent a boat as a way of comparing models and types of boats to get a better idea of which boat they would prefer to purchase. Most types of boats are available for rent. Inflatable boats, canoes and kayaks are rented for leisurely or adventurous river getaways. Larger craft are rented for fishing or a family get togethers on larger lakes, rivers and coastal waters. We list Hawaii boat information by city for your convenience. We include major cities like Honolulu, Makakilo City, Pearl City, Princeville, Waianae, Island of Kauai, Island of Oahu, Kahului, Maalaea, Pukalani, Hilo, Honokaa, Kalaoa, Mountain View and Waikoloa Village. Contact local boat dealers and fishing boat dealers for boat rental information. Boat rentals for skiing, fishing, cruising, sailing and just plain fun in waters throughout Hawaii may also be available at marinas. Some of the marinas in HI include Gentry's Kona Marina,, Keehi Marine Center, Hana Beach Park Marina, Kaunakakai Small Boat Harbor, Gentry's Kona Marina and Honokohau Marina & Small Boat Harbor. Doing a bit of research before heading out to rent a boat can often save a lot of time and make the rental process more enjoyable. Choose a resource with a good reputation for dependable boats at fair prices. By calling ahead you can confirm rates, availability and boat capacity limits to meet the needs of your boating party. Boats of all types for rent in Hawaii. Throughout the state one can rent sailboats, pleasure boats, family boats, yachts, pontoon boats, fishing boats, bass boats, speedboats, inflatables, jon boats, cruisers, cuddy cabin boats, canoes, car toppers, ski and wake board boats, deck boats, aluminum boats, electric boats, jet skis, personal watercraft and fish-and-ski combos. Many of these boats are for rent at multiple locations throughout Hawaii. 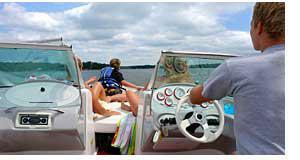 Search for boat rentals in HI by choosing boat dealers listed by region of the state. They are then organized by proximity to cities, waterways and other attractions. 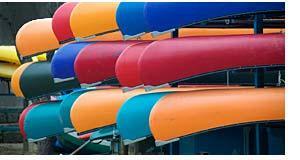 Find boats for rent in other states. When renting a boat it is advisable to check with your insurance agent to determine whether any of your current policies includes coverage, for boating. If not, it is a good idea to seek out boating insurance coverage through your agent or through the boat rental agency. For your safety and that of others on the lake, always practice safe boating and follow local waterway rules and regulations.